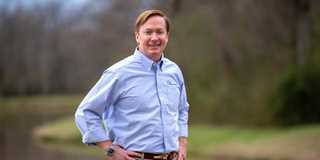 MEMPHIS, Tenn. – March 13, 2019 – Ducks Unlimited (DU) announced today the hiring of Adam H. Putnam as their new CEO effective April 1. "I joined Ducks Unlimited when I was 16 and have a lifelong appreciation of the conservation work the organization accomplishes," Putnam said. "It's humbling to be chosen as DU's CEO, and as a lifelong hunter, angler and conservationist, I look forward to building on our record of success." DU's current CEO, Dale Hall, will remain in place to help with the transition until his retirement on June 30. Putnam was most recently the Commissioner of Agriculture for the state of Florida where he served in one of four statewide elected positions within the government. He led the nation's largest state Department of Agriculture and Consumer Services and was responsible for the management of 1.3 million acres of state forests, running the state Energy Office and directing the state's school nutrition programs. "From the outset, the CEO search committee here at Ducks Unlimited wanted to find a unique balance of conservation, policy and agriculture background in the new CEO candidate," said DU President Rogers Hoyt. "In Adam, we feel we have hit on all three. Not to mention he's an approachable, passionate and visionary person, so Adam was the perfect fit." As Commissioner of Agriculture, Putnam was a strong advocate for Florida's water resources. During his tenure he expanded Florida's best management water practices program, through which farmers voluntarily adopt measures to reduce their water use and minimize the use of nutrients that, in high volumes, can negatively impact the environment. More than 7 million acres of agricultural lands in Florida are now enrolled in the program. That equates to 53 percent of all agricultural lands in the state, saving, on average, 19 million gallons of water daily. As a result of his leadership in water policies, in 2017 Putnam was the first elected official awarded the U.S. Water Prize from the U.S. Water Alliance. The award celebrates innovative and sustainable approaches to water issues and highlights individuals tackling our nation's greatest water problems. In addition to the best management water practices program, Putnam also created more than 40 conservation easements through the Rural and Family Lands Protection Program. These easements preserved more than 50,000 acres in Florida, land that is critical to wildlife habitat and water quality. "As the outgoing CEO, it's definitely a bittersweet day," Hall said. "But I am going to retire from my position at DU knowing the organization is in very capable hands thanks to the hard work and diligence of our volunteer search committee. They've truly picked a winner in Adam and I can't wait to see what the future holds for both Adam and Ducks Unlimited." While Putnam is a strong advocate for the environment, he is also a staunch supporter of veterans and the sacrifices they've made for our country. In 2011, he created Operation Outdoor Freedom to honor the selfless sacrifice of our nation's disabled veterans. New state forests dedicated to veterans were opened, and the team built special accommodations at these facilities to meet their needs. More than 4,000 veterans have joined Operation Outdoor Freedom events since its inception. "My vision for DU is to bring together conservation-minded folks from all walks of life, whether they're farmers, city-dwellers, veterans, biologists, hunters…anyone who has a connection to landscapes, which is everyone," Putnam said. "If we are going to fill the skies with waterfowl, we must build a coalition of people who believe waterfowl-filled skies matter. We need to work together to reach a common goal of healthy wetlands and abundant water for wildlife, people and their communities across North America." Prior to serving as Commissioner, Putnam served five terms in the U.S. House of Representatives. Elected in 2000, Putnam was the youngest member of Congress at the time and the youngest ever from Florida. While in Washington, D.C., he distinguished himself as the leading voice for specialty crop agriculture in the nation's Farm Bill, international trade and food safety. Putnam served as co-chairman of the Congressional Sportsmen's Caucus; as a member on the Agriculture, Financial Services and Rules Committees; and as chairman of the Subcommittee of the Government Reform and Oversight. After just two terms, he was elected by his peers to be Republican Policy Chairman, and as the Republican Conference Chairman in 2006. Putnam is a fifth-generation Floridian and a graduate of the University of Florida where he obtained a bachelor's degree in Food and Resource Economics. He has also been awarded an honorary Doctor of Laws degree and served as a Rodel Fellow at the Aspen Institute. In 2010, he was the E.T. York Distinguished Lecturer at the University of Florida. Putnam and his wife of 20 years, Melissa, are raising their four children in Bartow with plans to move to Memphis in the coming months.